A service was held at Western New England University to honor the two students who died while helping rescue two children from the Chicopee River this summer. Honors have been bestowed on two international college students who drowned in a western Massachusetts river this summer while saving two children. 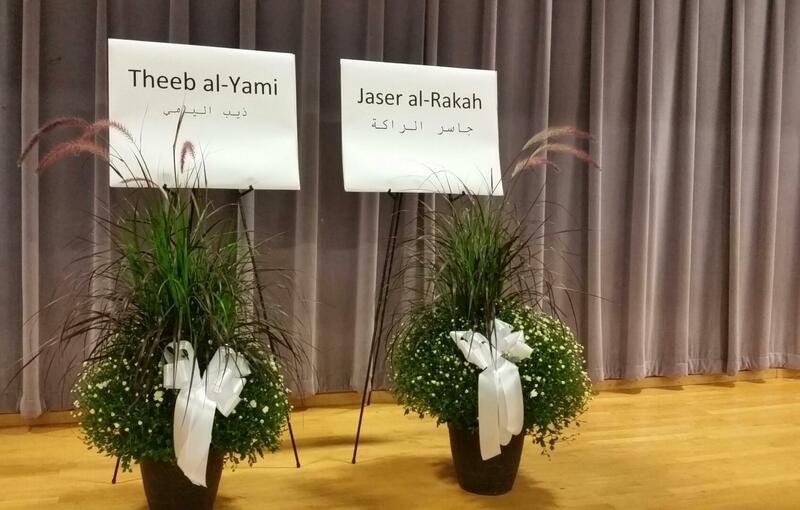 During a service at Western New England University, Jaser al-Rakah and Theeb al-Yami were praised as heroes who acted on their instincts to do good. Imam Wissam-Abdul-Baki of the Islamic Society of Western Massachusetts said the two cousins from Saudi Arabia did not hesitate to jump into the Chicopee River when they saw the children struggling in the current. "And they told everyone: 'This is our nature. This is my nature when you know me directly'," said the imam. Degrees were awarded posthumously to the family members of the young men. Al-Rakah was a student at Western New England University and his cousin Al-Yami was enrolled at the University of Hartford. The service was attended by students, professors, and Saudi diplomats from Washington and New York.